Clayton Genth, HIT Foundation Executive Director, opened the event by thanking everyone in attendance for their support. 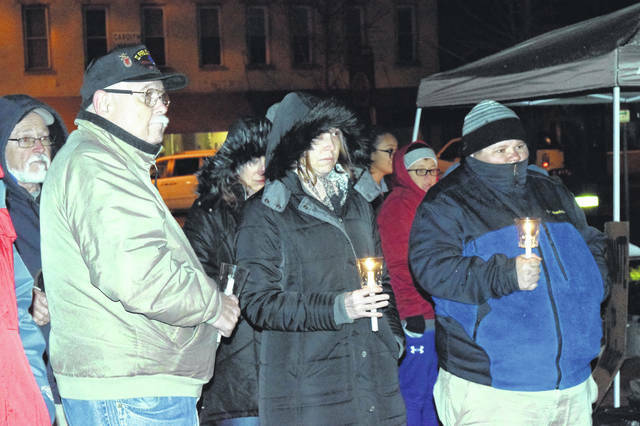 Program Coordinator Toni Morgan shared her hesitation to cancel the campout, as one cannot cancel homelessness due to inclement weather — but there are services that can help in Preble County. To celebrate Hunger and Homelessness Week in Preble County, Home is the Foundation (HIT Foundation) held its third annual Night Without a Home on Thursday, Nov. 15. 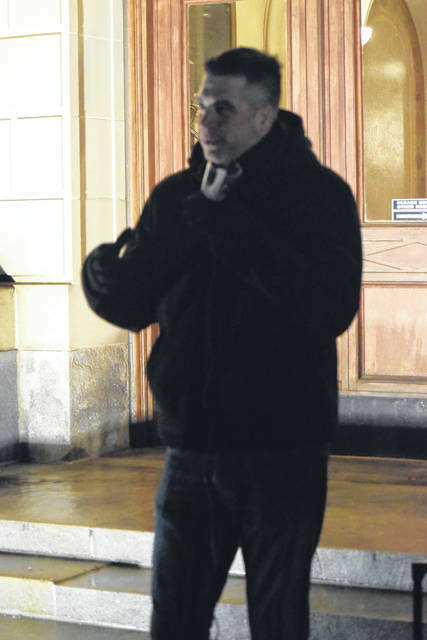 The annual campout encourages county residents to sleep overnight on the Preble County Courthouse lawn to get a taste of what it is like to be homeless. 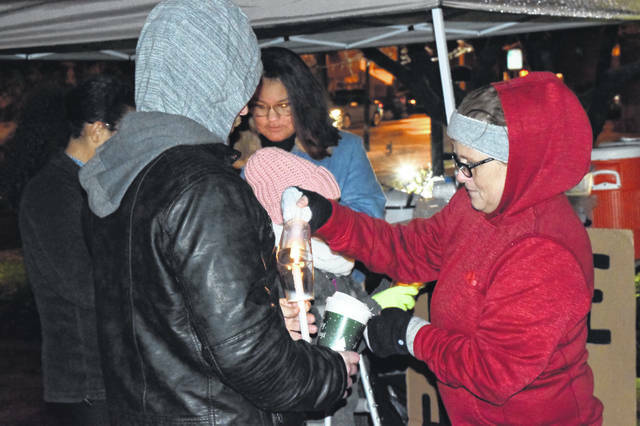 EATON — To celebrate Hunger and Homelessness Week in Preble County, Nov.11-18, Home is the Foundation (HIT Foundation) held its third annual Night Without a Home on Thursday, Nov. 15. 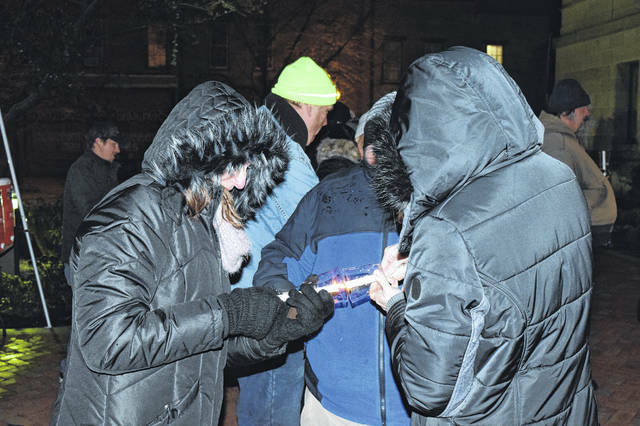 The annual campout encourages county residents to sleep overnight on the Preble County Courthouse lawn to get a taste of what it is like to be homeless. However, this year’s weather brought dangerous conditions and the campout portion of the night was canceled, to be rescheduled at a later date. 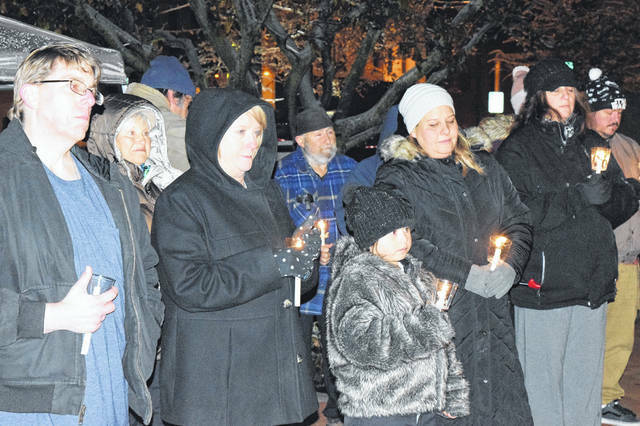 The annual candle light vigil was still held, as was a documentary screening. Clayton Genth, HIT Foundation’s executive director, opened the event by thanking everyone in attendance for their support. “A couple people were asking me why we do this when it’s so cold and how we came to do this event — this is not an event that the HIT Foundation created. Every year, a week before Thanksgiving is National Hunger and Homeless Awareness Week and cities across the country raise awareness about homelessness in their cities and communities. That is why we are here tonight. We hope that there is good discussion about the needs we see in Preble County and try to come up with a solution,” he said. Commissioner Chris Day talked about the proclamation that the commissioners had previously presented to the HIT Foundation. “We as Preble Countians are very fortunate that we have a lot of organizations that work with the people that are less fortunate – the homeless people and those who are in need. The organizations in our county really cooperate very well with each other, so we are more fortunate than the larger counties. If someone comes in, the HIT Foundation knows who to call,” Day said. Toni Morgan, HIT Foundation Program Coordinator, presented the history of Night Without a Home and spoke about the decision to cancel the campout. 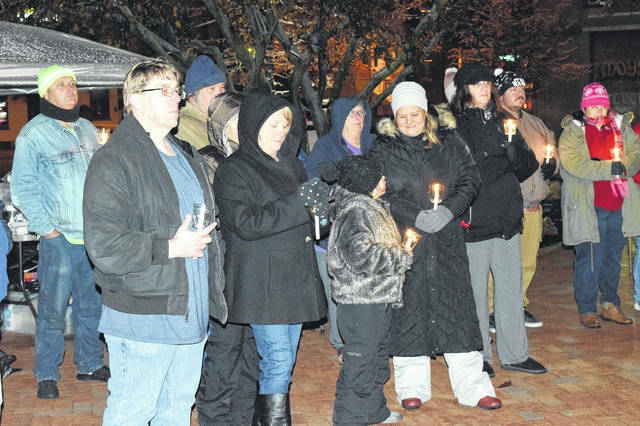 “Tonight we are here to give the invisible people a voice and to give awareness to the true face of homelessness in Preble County. If the weather would have cooperated, you would have seen 65 pairs of shoes lined up on the steps here. 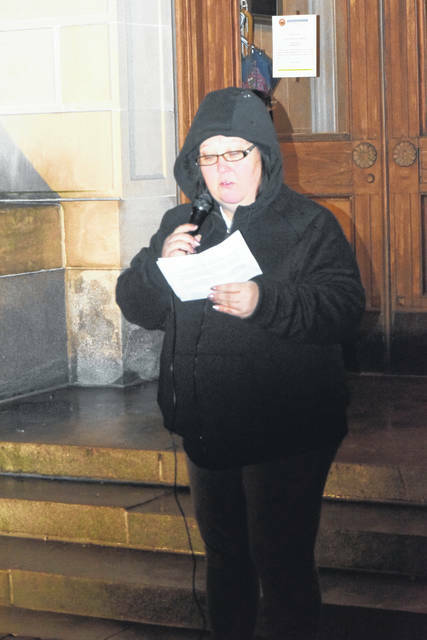 Those 65 pairs of shoes would have represented the 65 men, women, and children who sought shelter last year,” Morgan said. “That is what One Night Without a Home is about — we are asking you to walk the proverbial mile in their shoes and sleep outside. But to accomplish what? Well, we are going to build empathy, engage community, raise awareness, and sometimes even raise money. 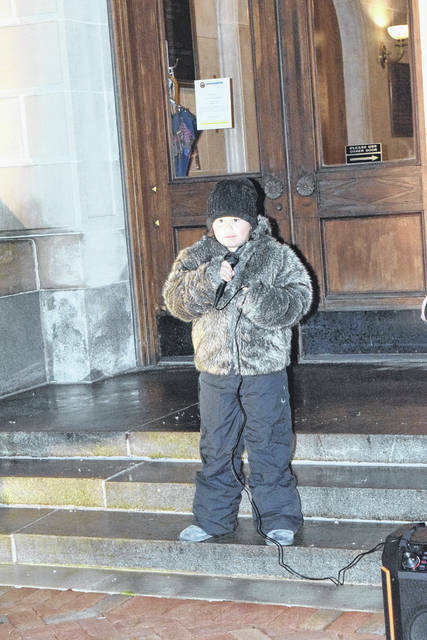 “I am going to be honest with you, I really struggled to cancel with event for the simple fact that we cannot cancel homelessness due to inclement weather. I was reminded that in this community, no we cannot cancel homelessness, but we do have options for them. The HIT Foundation offers the homeless shelter, as well as the temporary cold shelter. Both shelters are only successful because of you, the community. “I always tell people that I have the best job in the world, because I am paid to love people. At the same time, as service providers, we must ask questions and hold folks accountable. You guys have the best jobs in the world, because you just have to love them. We are changing peoples lives, building community one person at a time, and we are doing it by respecting their journey, celebrating their victories, and never giving up on anyone. “Services work. Supports work. Love works. 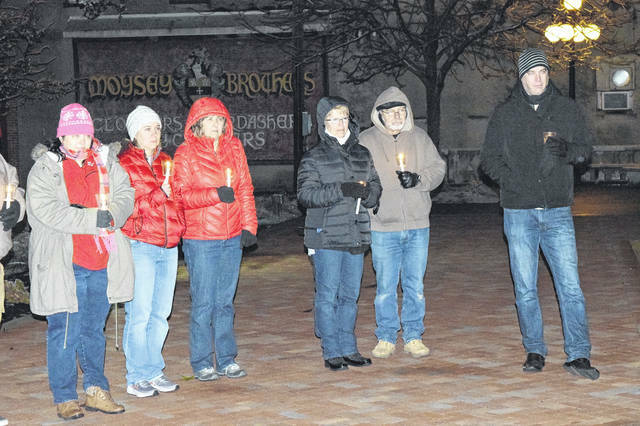 We aren’t going to end homelessness in Preble County tomorrow, or even next year, but together we can make a difference in somebody’s life,” Morgan said. 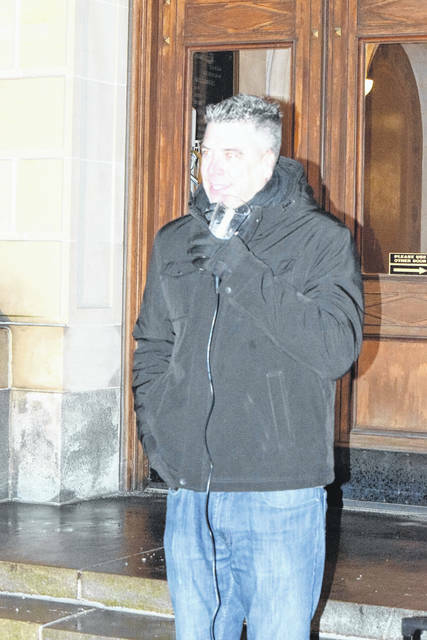 https://www.registerherald.com/wp-content/uploads/sites/41/2018/11/web1_HIT1.jpgClayton Genth, HIT Foundation Executive Director, opened the event by thanking everyone in attendance for their support. 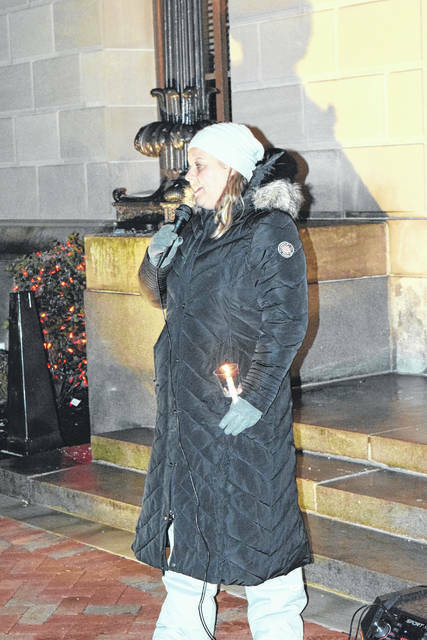 https://www.registerherald.com/wp-content/uploads/sites/41/2018/11/web1_HIT8.jpgProgram Coordinator Toni Morgan shared her hesitation to cancel the campout, as one cannot cancel homelessness due to inclement weather — but there are services that can help in Preble County. 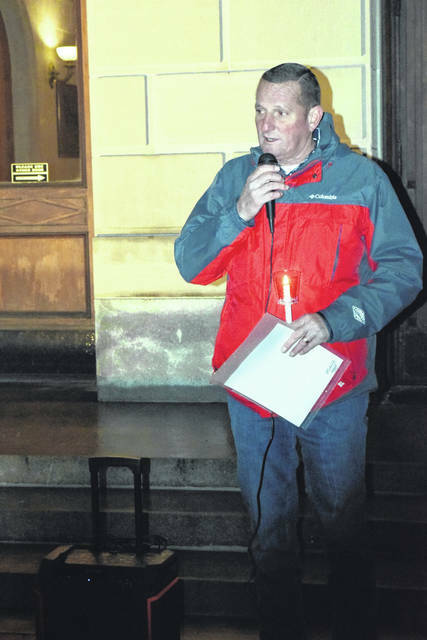 https://www.registerherald.com/wp-content/uploads/sites/41/2018/11/web1_HIT11.jpgTo celebrate Hunger and Homelessness Week in Preble County, Home is the Foundation (HIT Foundation) held its third annual Night Without a Home on Thursday, Nov. 15. 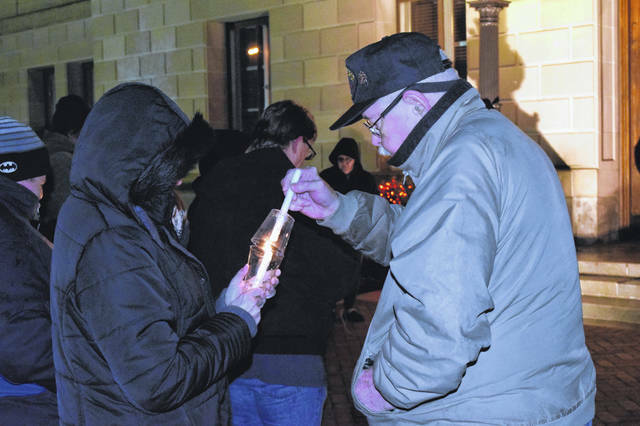 The annual campout encourages county residents to sleep overnight on the Preble County Courthouse lawn to get a taste of what it is like to be homeless.